Make your outfit complete with your own Mask. You can order a mask or create one yourself during a workshop. Decorate with paint or decoupage, ribbon and feathers. For the decoupage version there are different colors and prints to choose from. Order costs (excl. 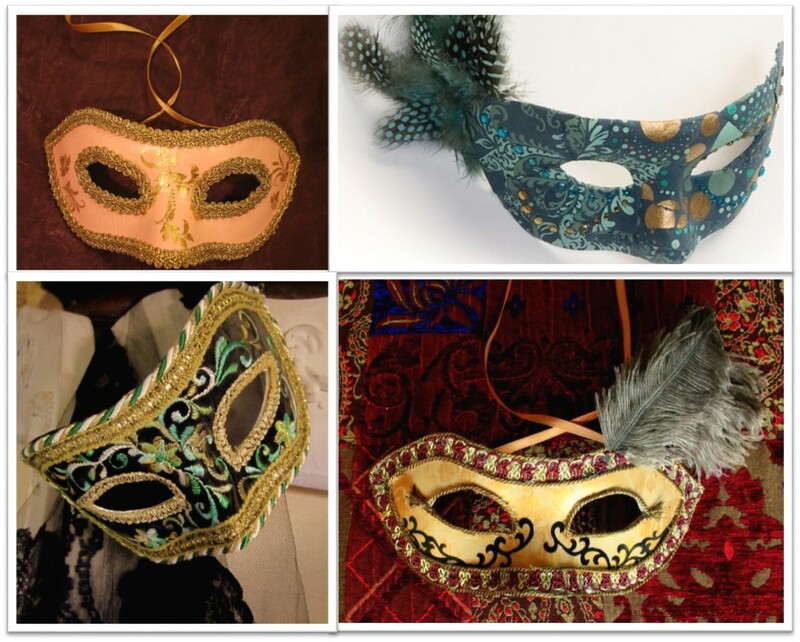 postage) Mask € 14.-. Workshop costs € 18.50. More information see workshops. Let us know what you want to make when you register, registration costs € 5,-p.p. (deducted from the workshop costs). For questions and ordering send an e-mail.